Who can Benefit from Massages? Massage Therapy is more than just a relaxing time, that can lead to a little drool on your pillow, it can provide relief from pregnancy symptoms, sports injuries, muscle tightness and it can improve blood circulation. From babies to the elderly, everyone can benefit from massages. This hands-on approach can help aid relaxation, digestion and helps promote sleep. Massage has been effective at relieving the stress involved with an up coming surgery, depression, anxiety, migraine headaches, even carpal tunnel. 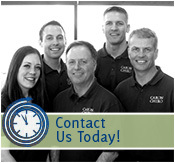 If you are in the St. Paul, MN area, Caron is your answer to a perfect massage, tailored to you. There are many different massage techniques, all offer different results and each person’s body sees different effects. Your unique situation will determine the best massage for you. Whether it’s a combination of warm stones, essential oils or isolated pressure, Caron Chiropractic offers a massage that will give you the best results. This type of massage is the most commonly known. It’s a more delicate approach and exercises gentle strokes that will relax the muscles, in your entire body. Usually, when someone is searching to unwind and relax, a Swedish massage is the answer. This massage type is more intense, providing deeper pressure to release muscle tension. 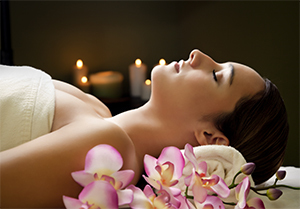 Usually this massage focuses on one or a few painful or tense areas in the body. Benefits of this massage have been proven to be blood pressure reduction, mood boosting, as well as relaxation, just to name a few. A trigger point massage uses isolated pressure to relieve the source of your discomfort. When our massage therapists preform this type of technique, immediate results will follow. This is a massage that is usually used as a way to naturally manage pain. There are a lot of changes in the body when pregnant, after the first trimester, prenatal massage can relieve those discomforts you are feeling. Pregnancy is a special time in a woman’s life but that doesn’t mean it is easy. If you’re constantly dealing with nausea, tiredness, cramps, headaches, swelling any anxiety or depression, that is common with pregnancy, Caron’s massage therapists can help. Prenatal massage is a safe way to boost your mood, take strain off weight supporting areas and induce relaxation. This type of massage technique uses warm stones to relieve tension and stiffness. Hot stone massage therapy is also know to speed up the metabolism and circulation. The direct heat feels great and lulls you into a relaxing state. If your an athlete, this massage was created for you. A sports massage focuses on strained areas in the body, due to the frequent and reoccurring use of the same muscles used. Whether you want a sports massage to prepare for a tournament or help you get back to doing what you love sooner by quickening your recovery, this massage techniques has undeniable results. If you are unsure what massage technique you would most benefit from or would like to contact the massage therapists at Caron Chiropractic for a better understanding or an appointment, call us today at 651-255-9999. This entry was posted	on Thursday, July 10th, 2014 at 8:58 pm	and is filed under Massage Therapy. You can follow any responses to this entry through the RSS 2.0 feed. You can leave a response, or trackback from your own site.